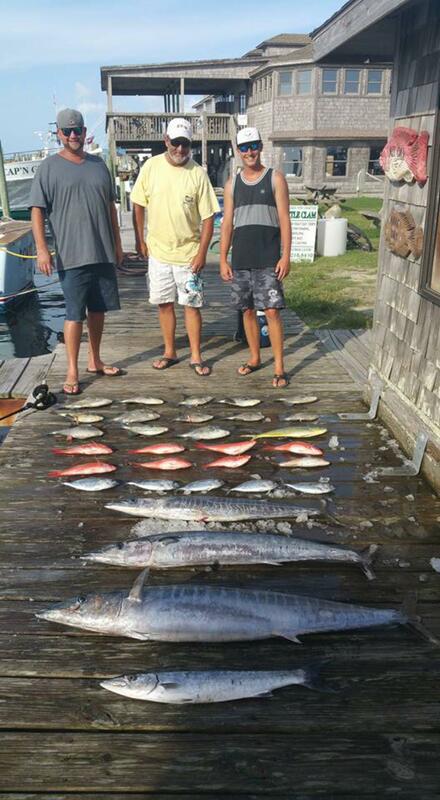 Hatteras Fishing Report for 8/9/2016 -- Make up charter today and we scrapped out a decent catch. Had quite a few wahoo bites but only held on to 3 one citation 45lber. Did a little bottom fishing in the afternoon to add some variety to the meat pile. Back at it again tomorrow.